The simultaneous release of Macaque and Nightingale is very interesting to me since even that they perfumes made by different perfumers with different composition styles there is a creative direction behind both which puts them inside the universe that gradually Victor has built for his brand, one which brings fragrances affordable and with quality, one that puts the focus on abstract creations and at the same time reminds us of the fascinating species that live on our planet and their distinct personalities. 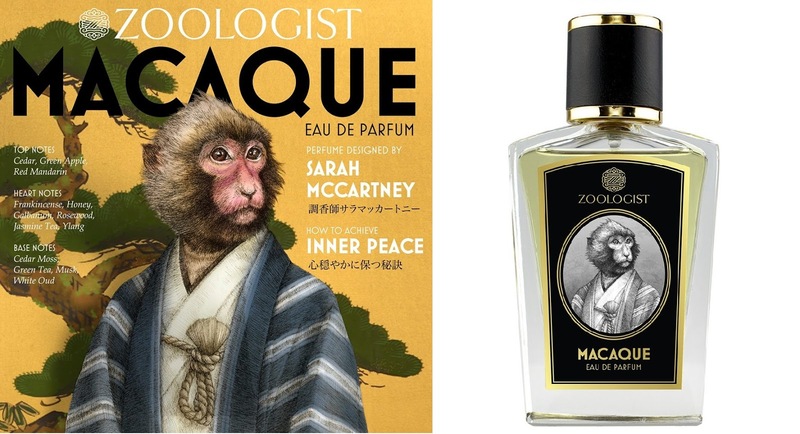 Unlike other projects of the brand, Macaque arose from a proposal of the perfumer Sarah McCartney. There is a certain boldness of it, which is something that defines very well Sarah's work and that is reflected in her perfumes and style. I identify a lot with her, I see that her perfume seems to have no limits in style, notes and range. 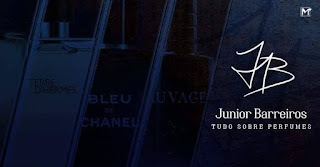 More than that, when I compare it with the first perfumes that I reviewed from Sarah in her 4160 Tuesdays, I see that there is growth and refinement in her style over time, a fact that appears to show a person willing to not only go beyond as well learn and deepen its creations. Macaque avoids the clichés that one would expect from a scent inspired in a primate, especially a primate of a genre that spans in so many different regions in the world, the Macaques. This species of monkey has a diverse diet that involves everything from fruit to flowers. Sarah was inspired by Macaques that lives around temples in Japan, in their discrete animalic, clean and lightly fruity aromas and also in the oriental art of preparing incense. As you can see here, the east and its use in a non-obvious way and with multiple meanings is what unites the work of Sarah and Toomoo Inabe. I like how Sarah makes an important role to galbanum in this picture. It's a smart idea, considering the green connotations of the resin, which perfectly create an idea of ​​a possible environment where such monkeys can live. At the same time, I can see the perfumer fitting here synthetic molecules that has both a fruity aspect as a green galbanum one. In general, such molecules are used in a composition to give a pineapple flavor, but here they are handled within the context of citrus yuzu and in an abstract apple accord (a green one instead of a juicy red). It is also very interesting as Sarah is able to honor the classic perfumery and the green floral chypre perfumes, but fitting it into a more musky and amber base with a slight hint of incense. At times Macaque reminds me of the floral and green sophistication of an older version of Chanel Cristalle EDP, as if the mix of flowers, galbanum and resins arose the mirage of a honeysuckle that has an important role in Cristalle. 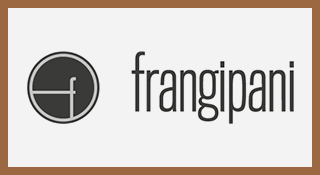 It's a clever vintage quote, built amid the complexity of the aroma of citrus, galbanum, resins, flowers and fruits that permeates a complex picture of an specie that is complex in its behavior and relationships with humans. Another wonderful work within the Zoologist collection.